From the majesty of Etna, the autochthonous and centuries-old Nerello Mascalese and Nerello Cappuccio grape varieties unite to produce a wine of energetic authenticity. The warm activity of the largest volcano in Europe makes the soil excel in terms of quality and audacity, obtaining the benevolent approval of a land that wrestles with extreme conditions on a daily basis. 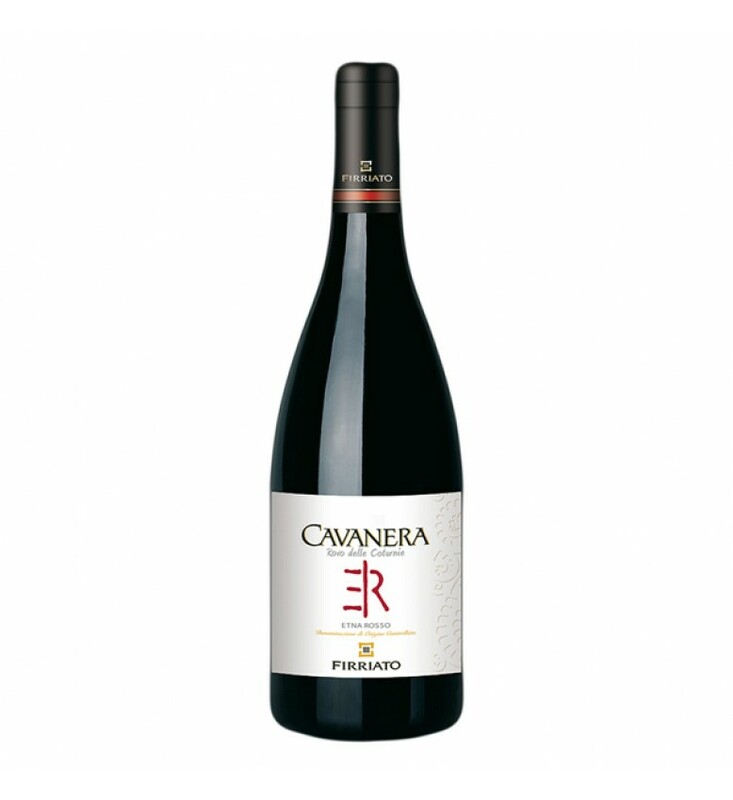 Cavanera is a wine that embodies the power and strength of a land scorched by the desire to emerge and leave an everlasting trace on the soul and in the halls of time. It is the devastating source of a unique and passionate taste that erupts onto the wine scene with its exceptional nature and sense of exaltation that comes from participating in its explosion of inimitable flavour. Colour: clear, bright, ruby red, true to type. Nose: decisive and sophisticated notes of small red fruits, raspberries and peaches, enveloped by intense nuances of nutmeg and black pepper, framed with the more delicate scent of rose petals. A wine fragrant with smug volcanicity highlighted by ferrous and mineral nuances. Palate: the full-bodied flavour and seductive tannins take centre stage. Of considerable persistence, its gushing personality is expressed through every one of its components. Characteristics: it is symbolic of a Sicily exploding with the wealth of its potential, which does not surrender to the changing uncertainty of life and the future. Cavanera expresses all of its desire to leave its mark. A wine has never been so unique. Its destiny boasts volcanic land and historic admiration: Cavanera Etna Rosso DOC is produced on an estate located in one of the most beautiful places in Italy, renowned around the world, enduring its vicinity to the volcano with fearful affection and admirable bravery. Castiglione di Sicilia sits on the northern side of Mount Etna, preserving its historic beauty and revitalising a place and people that at times admires with a bitter smile the amazing force of a volcano that has shaped its history.